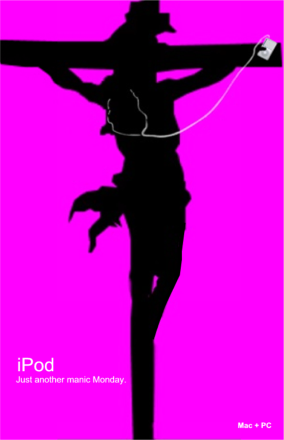 "iPod Christ" by Prettiestpretty won the ATDB's "Master Goa Tse Award for Digital Imagery", as well as Grand Prize for The Aristocrats Christmastime Special in 2008. She is the only editor to have won both awards at the same event. This is a list of writing competitions held and scheduled by Uncyclopedia, mainly focusing on re-writing or the creation of original articles and images. Uncyclopedia's first event, the 2006 Poo Lit Surprise, took place from April 7-23, 2006. Each Uncyclopedia event contains several categories. Traditionally, there are four established competitions, both annual and bi-annual, held during the year. Three of these - the Poo Lit Suprise (2006-), Aristocrat's Turkey Day Ball (2007-), and The Article Whisperer (2010-) - generally run for a three-week period. The first two weeks are reserved for editors to submit entries for one or more categories, at which time the contest is closed for judging, with the winning articles announced during the final week. In addition, Conservation Week (2007-2010; 2012-), a bi-annual contest which focused on rewriting random articles, is held for a two week period. The winners are picked based on the total number of articles rewritten. Occasionally, Uncyclopedia has held impromptu contests, generally put forth by individual editors, which last anywhere from 1 to 24 hours. The Happy Monkey Competition (2010-), first organized in August 2010, is the only 24-hour competition held on a regular basis. As of Poo Lit Surprise (January 2011), typically, most Uncyclopedia events have received on average approximately 32 entries at each event, though sometimes there can be more than 50 or less, due to disqualified or forfeited entries. Up until Poo Lit Surprise (July 2008), it was common to see as many as 50 to 60 entries per event. The following is a list of the current, active titles for events scheduled by Uncyclopedia. This page was last edited on 23 August 2012, at 06:36.